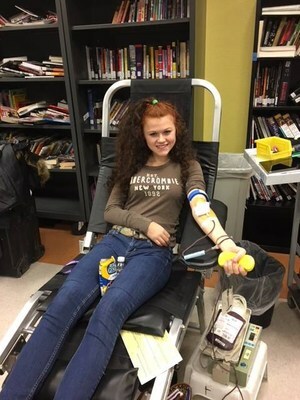 Grandview had our annual blood drive on Halloween! We had many heroes who donated blood. Many more signed up who were not able to donate. Each blood donation can help save up to three lives. Our students definitely understand how important blood donation is to our community. It is always a great day at Grandview, and more so when students feel proud of their ability to help others.